As you may know we have a thriving PHM twitter account with over 13,000 followers! We really enjoy tweeting about all the exciting goings on at the museum, and we love to hear what our followers and other tweeters have to say about PHM. Hope you enjoy the top 20 tweets of 2014! Why not join the conversation and follow us @PHMMcr. You can also hear about all the latest updates from the museum shop by following @PHMShop. 1. 28/01/2014: @GailDavidge: Brilliant day at @PHMMcr really impressed with 150 yrs co-op exhib. Superb resources for all schools loved the living history performance! 3. 16/02/2014: @LisaPeatfield: Had a fantastic day @PHMMcr yesterday. Great exhibitions, Atlees’s pipe & Michael Foot’s donkey jacket! Now THAT’S a museum. 5. 05/04/14: @DrMagennis: @PHMMcr Lovely knowledgable staff, free entry, banners beautifully restored, great interactive displays and the jukebox! 6. 24/04/2014: @Cath_Hodgson: @PHMMcr amazing reminder ofhistory,impact&importance of political activism,great cafe&yr free emergency nappy-luv it! 7. 21/06/2014: @Qecameraman: Went to @PHMMcr this morning for story time. I would definitely recommend to any parents of toddlers. Great setting for a story. 9. 31/07/2014: @CheshireCaveman: Thanks to Darren and all the gang at the archives @PHMMcr great day looking at the Michael Foot papers. Will be back next week! 13. 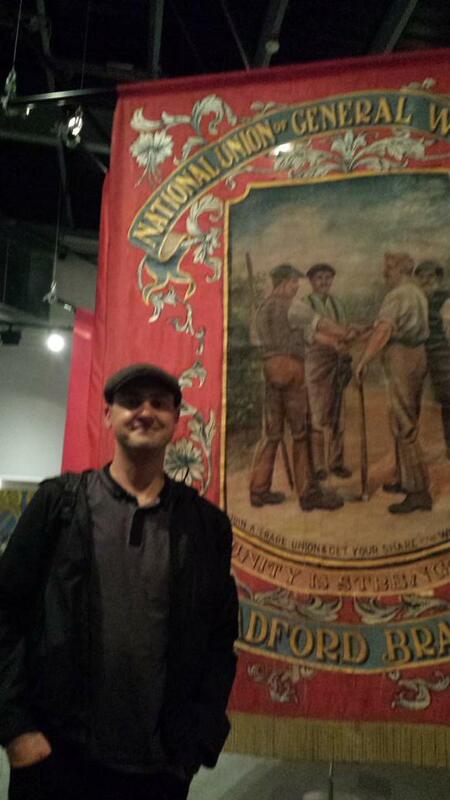 04/09/2014: @HughAtkinson: @PHMMcr Just been to Peoples History Museum in Manchester. Must visit! Past struggles for justice relevant today. Need to keep up fight! 16. 22/10/2014: @SarahABGee: @artsfundraising @PHMMcr PHM staff were just lovely & food was ace. Do thank everyone. Wish I’d had more time to look round – will be back! 17. 23/11/2014: @cathfeely: @helenrogers19c @PHMMcr @ruth_mather I love it so much that we had our wedding reception there in pump room! A unique and special place. 18. 23/11/2014: @RockingStones: Excellent afternoon with my family at @PHMMcr in Manchester. This is a splendid & unique resource & should be treasured. Amazing artefacts. What a lovely note to end 2014 on! This entry was posted in Digital Engagement, People's History Museum and tagged marketing, People's History Museum, Twitter. Bookmark the permalink. Nice to be mentioned in top 20 tweets!